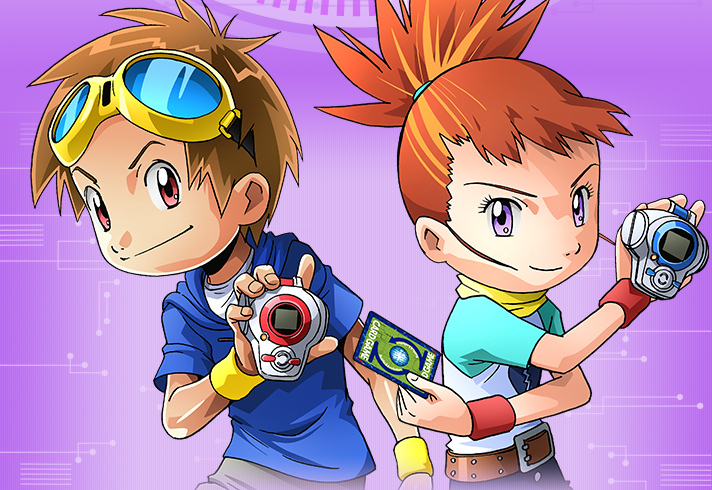 About 15 years after the culmination of the third Digimon series, Digimon Tamers , that series’ Digivice, the D-Power (or D-Ark in Japan), will make a comeback. The D-Ark will be available in two varieties: Takato’s and Rika’s (Ruki’s). 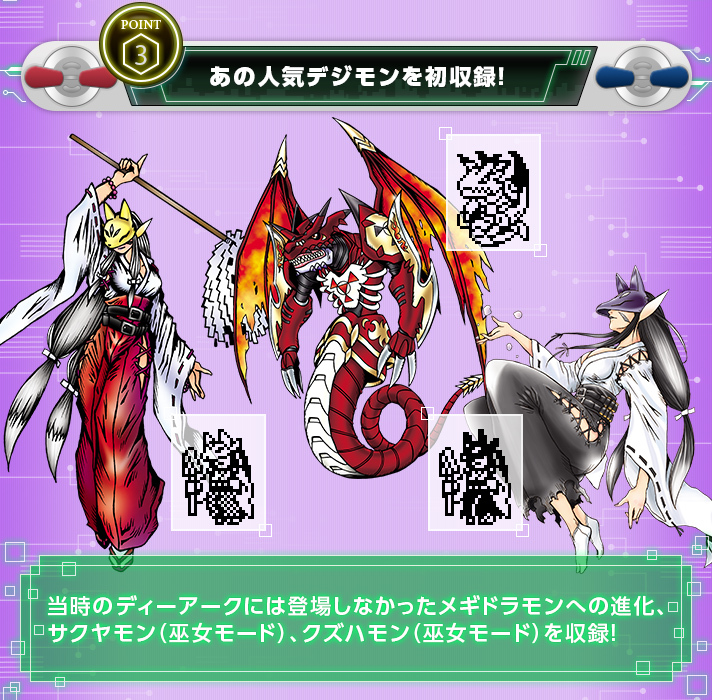 They will include new Digimon: Megidramon, Sakuyamon’s miko mode, and Kuzuhamon’s miko mode. 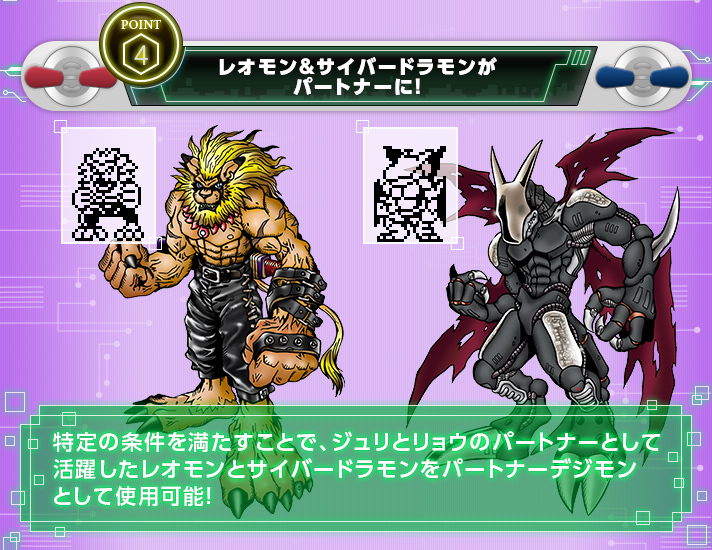 When “certain conditions are met,” Leomon and Cyberdramon will also become available to use. 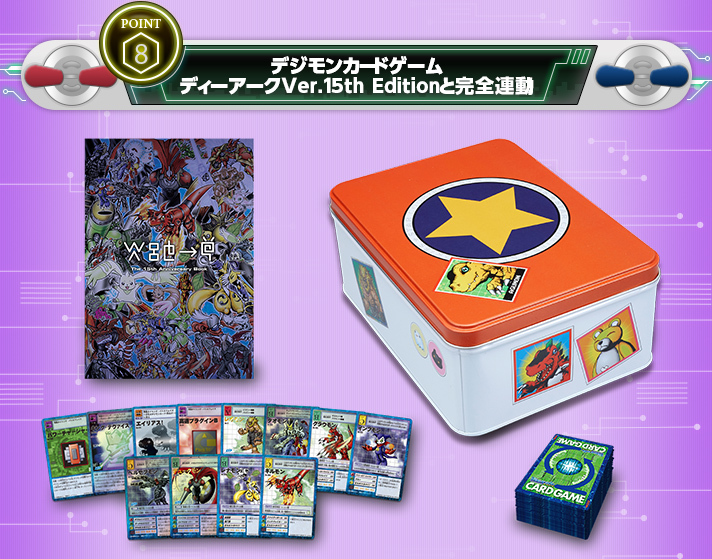 The Digivices also come with three plastic plug-in cards to modify your Digimon, along with the Red Card and the Blue Card. 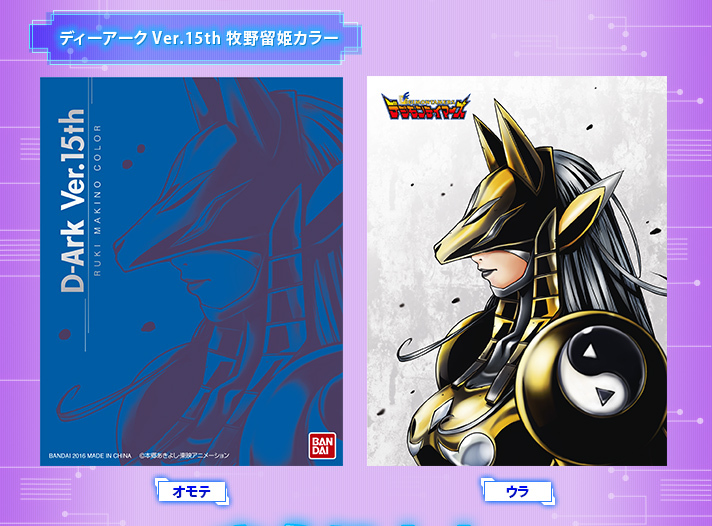 The card game that was sold along with the D-Powers will also be revived. There are a total of 65 different cards, including holographic cards, all-new cards, and 3-D cards with images that change depending on the angle that the card is held. 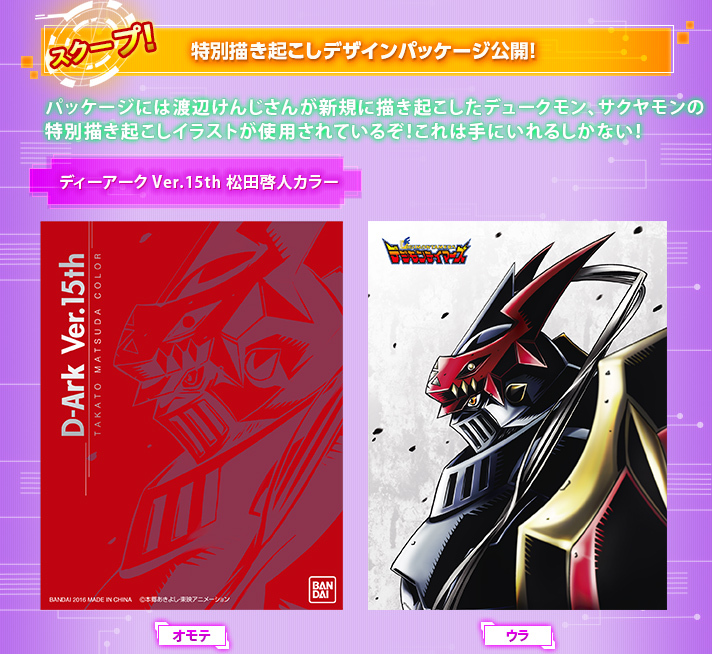 They will be packaged in a box that resembles Takato’s card box from the anime. Finally, if the player clears each area, they can access Calumon’s hidden mode, which lets them battle 10 different Mega-leval Digimon. What happens after this remains a secret. Would love to get one!! !